Gone are the days of waiting for this highlight since the announcement of Samsung’s new line of superb phones. Well here we are, sleek and chic. The Galaxy W will give its promise of high quality and strategic models to those who seek the balance between style and performance. If you think that the Galaxy SII is way too fast and clever for your lifestyle or if you think that Galaxy Y is too simple too fit you highly-rationalized life; Galaxy Wonder I8150 might be the one for you. Fresh from the Galaxy portfolio this brand will serve you at the fulcrum of your Android cravings. It has now reached the country with the price tag of Php 16,990. 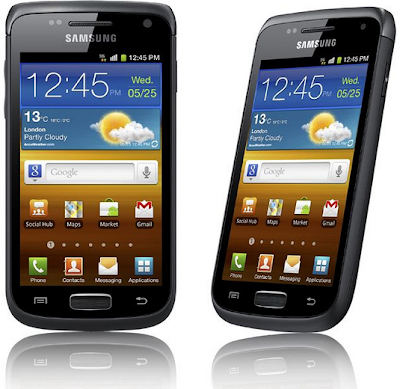 It rocks Android 2.3 with 3.7-inch display and goes features the same 480 X 800 pixel resolution with the Galaxy SII. The hardware is somewhat different to the Galaxy Y and SII due to that fact that Wonder has a semi-filleted edge that could be compared to the Nokia N8. It also rocks a 5MP camera in the rear portion and a VGA version as the front facing camera. Aside from its size, Galaxy SII could hardly instill inferiority complex to Galaxy W because is blazes with 1.4 GHz Scorpion Processor, a feat in the 3.7-incher department. So if you’re planning to grab this one for a Christmas treat, we think there’s no reason for us to stop you.